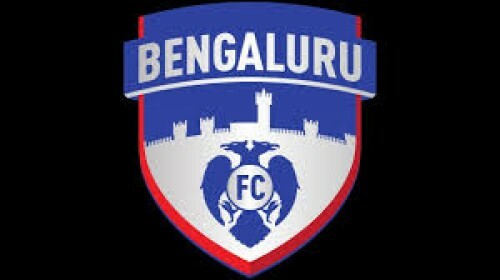 Bhubaneswar : Defending champions Bengaluru FC will have their task cut out when they take on neighbours Chennai City FC in a much-anticipated quarterfinal clash of the Super Cup at the Kalinga Stadium here on Thursday. The match will pit the champions of I-League (Chennai City FC) and the Indian Super League (Bengaluru FC) against each other for the first time ever in a competitive clash. "It will be a nice game with the winners of two different competitions of the country going up against each other. I'm sure it will be a good show for the supporters. We are aware of the qualities that Chennai City have, because we played them in the pre-season. "In fact, they are the only Indian team to have beaten us in the pre-season. We know that they are dangerous and can create a lot of problems for us," Bengaluru FC head coach Carles Cuadrat said on the eve of the match. Both teams go into the game on the back of different circumstances. While Bengaluru received a bye in their Round of 16 clash against Mohun Bagan, Chennai City carry the advantage of having played a competitive game in the Kalinga Stadium. "We're all eager to play football. We, as coaches and players, would always want to play matches. It would be special to win two trophies in a season. We want to be competitive and try to do our best to reach the final and hopefully it can happen. "It's a tough competition because to win it, you have to win all the games. One bad day, and you are out of the competition. It's like having to play three finals, but we are ready for the fight," Cuadrat said. Chennai City FC, coached by Akbar Nawas, secured their quarterfinal berth after a thrilling 4-2 win over FC Pune City. Despite playing most of the second half with 10 men, they managed to outsmart Phil Brown's side to claim a late win thanks to Pedro Manzi's hat-trick. Spaniard Manzi will be Bengaluru's biggest threat. He was the top-scorer in the I-League with 21 goals from 18 games at more than one goal per game. In fact, his hat-trick against Pune in the Round of 16 clash was his fifth of the season, having bagged four trebles in the I-League. "I'm quite aware of the qualities the foreigners bring to the Chennai side, especially Manzi. He is quite similar to Miku and both of them bring a lot more than just goals to their sides. "Their movement in and around the box also helps teammates in creating more scoring opportunities. It will be an interesting battle for both the sides, in offence as well as defence," Cuadrat said. While Bengaluru might not have played a game in Bhubaneswar this season, they do carry forward an impressive record. It hasn't lost a game in the city and in fact, have a perfect record at the Kalinga Stadium, winning five out of five games at the venue, the most by any team. Chennai City, meanwhile, hasn't lost to many teams as well, and if Bengaluru manage to get a win, they will become only the third side to beat Chennai this season. "We know that Chennai have lost three times, and they have only lost against two teams in the I-League. Real Kashmir and Churchill Brothers are the only teams to have managed to beat them. It's a very good statistics, and shows how tough a side they are. We will have to try and be the third team to beat them," added Cuadrat. On the team news front, Bengaluru will be missing the services of defender Rino Anto who has picked up an injury and has not made the trip. Charles Lourdusamy will miss out for the Coimbatore-based side after being sent off in the clash against Pune.